Did Blue Whale challenge kill Mumbai teen - or did the media goof up? An unverified story received overwhelming attention. But what about the facts? The case of a Mumbai teen committing suicide sent off shock waves across the country as we were introduced to a phenomenon called “The Blue Whale Challenge”. According to an India Today report, a 14-year-old boy from Mumbai’s Andheri killed himself by jumping off the terrace of a seven-storeyed building on July 29. The boy, who was a Class 9 student at an international school, was spotted by a neighbour walking on the parapet while shooting what looked like a selfie video. He then jumped off and killed himself. While the Meghwadi cops have registered an accidental death report (ADR) and are probing to find the reason behind the suicide, the India Today report cites sources in the Mumbai police who claim the boy is believed to have been addicted to an online game known as “Blue Whale” – a challenge-based underground game that brainwashes people into committing suicide. What followed next was the bit about the suicide game, which got picked up by almost all major media houses and news websites. Everyone speculated and discussed the Blue Whale Challenge. Everyone talked about online suicide cults, depression, emotionally vulnerable teens, privacy and psychopathic men from Russia who think human beings are biological waste. DailyO, too, carried several pieces on the Blue Whale challenge, discussing the idea of a task-based suicide game. What only a handful did, however, was due dilligence – a follow-up on the story of the Mumbai teen. Was the 14-year-old really participating in the Blue Whale challenge? Does the police investigation say so? Why did the police start probing into an obscure suicide cult from Russia to begin with? I spoke to Neha Rajadhakshya – a friend of the victim’s family. According to her, the possibility of his suicide being linked to the Blue Whale challenge is unlikely. "The family had no idea about the challenge," she said over the phone. "They found out about it in the news once this story got picked up." She adds that the victim was not active on social media at all – which is strange when you consider that social media is the primary medium for teens to get in touch with the “whales”. She averred that the idea of this suicide being related to the Blue Whale challenge was fed to the police by a neighbour for “no rhyme or reason”. "We had a huge number of people adding fuel to the fire and looking at this suicide as an opportunity to get famous. We saw video footage of people who aren’t even friends with the family giving quotes out as if they knew them for years! They started the rumours without even thinking about what the family will go through thanks to their careless talk." Karishma Kotian, a neighbour and friend of the victim's family, said the same over email. "Rumours of Blue Whale Challenge started when an irresponsible man who lives around the area and was probably looking for his two minutes of fame openly spoke about the game being linked to Manpreet on his social media accounts." "He is in no way close to the family at all. He went ahead and directly spoke to the media without the family's consent and without having any proof that the boy was linked to the game. Soon a chain of WhatsApp messages were created about the game and the boy which went viral," she added. I also contacted Saurabh Vaktania, the reporter who provided India Today the “exclusive” that started it all. Vaktania maintained that sources inside the police had informed him about the case’s possible link to the Blue Whale Challenge. He added that, as opposed to the family’s claim that the victim was not active on social media, the teen had two Facebook accounts, a fact that could be corroborated by the police. The police, however, proved to be less helpful. When I tried to reach a senior investigating officer from the Meghwadi division of the Mumbai police, I was informed that the case is under investigation at this point and no comment would be made. Although, on August 1, Indian Express carried a report, according to which, Mumbai police’s investigation into the suicide had so far revealed no evidence that it was a result of the Blue Whale Challenge. "There were no marks on his body, no pictures of whales or any kind of indications of him playing the game. Certain conversations which Manpreet had with his friends before his suicide got unnecessarily linked to the game. These rumors about him being linked to the game seems completely false and baseless as of now. Police have not yet recovered any proof of him mentioning about Blue Whale to anyone or about him playing it in any way," said Karishma Kotian. If the cause (if it's suicide at all) is still being investigated, and the family denies the teen’s social media activities and claim that the Blue Whale Challenge news was fed to the cops by a neighbour, as Neha Rajadhakshya suggests, and the only reason any of this speculation exists is because of what a police source may have told the reporter, how did this become such a big deal? Mass hysteria around the Blue Whale Challenge has been amply visible. Thousands of people with opinions and ideas have spoken about the phenomenon. Some have peddled fear, others have tried to rationalise. 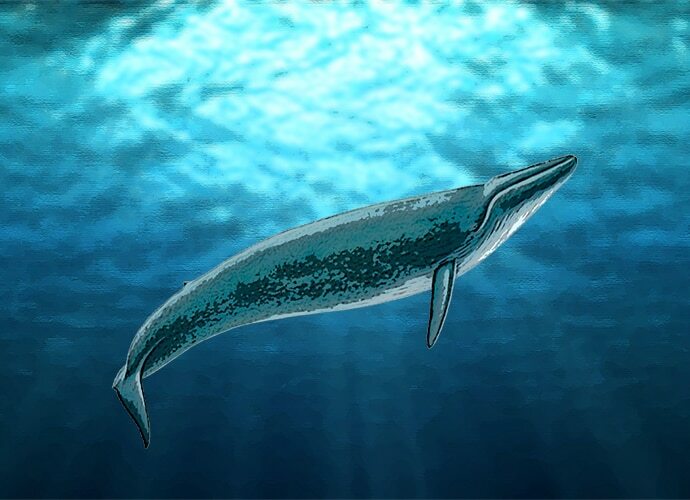 And a whole lot of people, in misguided fear, took to Google Play to downgrade and uninstall “Blue Whale Simulator App” – a simulator game meant for kids – mistaking it for the Blue Whale Challenge. Why did an unverified story receive such overwhelming attention from the media? Was it just a “spicy” take on the tragic death of a teenager? And the media has definitely been irresonsible about the manner in which its assumptions affected the family, the victim's friends feel. "The media has been incredibly insensitive while reporting this suicide. Before the family could come to terms with what happened, they saw their pictures being flashed on the news and read about the ‘Blue Whale case’. None of us had any idea of what the Blue Whale Challenge was until we about read it in articles linked to the case," said Neha. "Parents have been quoted without giving quotes, pictures of the sisters have been shared, quotes from people who don’t even know the family have been taken as ‘credible sources’ just because they share the same faith. We had to literally call up people asking them to take the story down, which was quite a task," she added. Mayukh Chakraborty, a friend of the victim's sister said, "Journalists turn up at odd hours, people have tried to click photos of the family from their balcony, many even turned up at his school. We even had a journalist from a leading newspaper tell us if we don’t give her information about the case from hour end, they will have to report as they please! The media didn’t check their facts, didn’t bother to check their sources, gave out the entire address, the child school name and more." How is it fair that a family, which experienced such a tragic loss, had (and still has) to go through harassment of this kind at the hands of the media? Sure, the Blue Whale Challenge is real. And sure many have been the victims of this psychotic game. But didn't we owe a proper investigation before we jumped to a conclusion? We are most certainly at fault. Also read: Armed forces veterans write to Modi against lynching: Are they also anti-national?